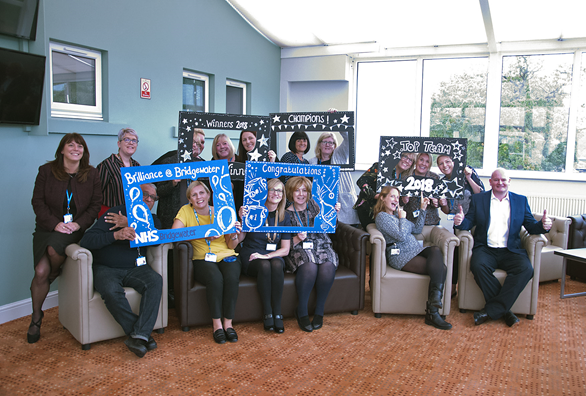 The event saw staff such as nurses, support workers, dentists and administrators recognised for the inspirational work they have carried out to care for their patients or support their colleagues over the past 12 months. Community Link Worker Mags Sanders, who is based in the Health Outreach and Inclusion Team, received The Patient Choice Award for the second year running. Mags, who is based at Longshoot Health Centre in Wigan, was nominated by four vulnerable service users for supporting them through difficult times. She was praised in one nomination by a service user for giving her the support to make positive choices and changes in her life, for never judging others and for always having a smile on her face. The Chairman’s Award for Lifetime Achievement was awarded to Julie Banat, Clinical Manager for Health Visiting and School Nursing in Wigan. She was described as displaying excellence in clinical quality, a passion for public health nursing and having an excellent attitude to staff and development in her teams. Tissue Viability Nurse Karen Patterson, based at Ashton Clinic in Wigan, was named Clinical Employee of the Year for developing a proactive initiative with district nurses to reduce pressure ulcers. She was nominated for being a dynamic and enthusiastic practitioner, generous with both her time and knowledge to support innovative practice, and for always putting her patients’ wellbeing first. The Non-Clinical Employee of the Year was presented to Julie Melling, Admin Manager, from HMP Garth who constantly goes above and beyond in her role to support her clinical colleagues. The Dental Team at Bolton Lever Chambers was named Clinical Team of the Year for the outstanding care they provide to young children and also children with special educational needs who require dental treatment under general anaesthetic The team also accept out of area referrals and treat patients at the weekends to ensure they meet demands on the service and provide pain solutions for every child. Safeguarding and Children in Care Administration Teams in Wigan, Bolton and Oldham were announced as The Non-Clinical Team of the Year. 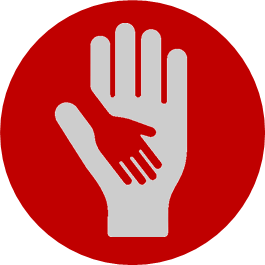 The team deal with emotional, sensitive and sometimes distressing information on vulnerable children in a highly professional manner. They go above and beyond to process urgent requests from solicitors, Police, NHS colleagues and social care. The Outstanding Contribution to Innovation Award was presented to Christina Heaton, Nurse Consultant for the Falls Prevention and Fracture Liaison Service in Wigan Borough. Christina is described as an enthusiastic and inspiring role model for research active clinicians. Christina has balanced studying for a professional doctorate with a full time job and she is also Deputy Chair of the Trust’s Research Strategy Group. The award for Mentor/Supervisor of the Year was presented to Oldham School Health Advisors Gillian Leigh and Suzanne Ferguson for being great role models and being hard working, knowledgeable and true professionals. The Learner of the Year Award was bestowed to Sinead Watmough who is a Business and Admin apprentice working with the Education & Professional Development Team based at Worsley Mesnes Health Centre in Wigan. She is described as demonstrating great positivity, determination and initiative. The event also featured the Bridgewater Annual General Meeting which included the Trust Annual Report and Accounts, an update from the Governors and a presentation from the Acting Chair Karen Bliss. Another highlight of the day was a performance by a staff choir made up of children’s healthcare workers.